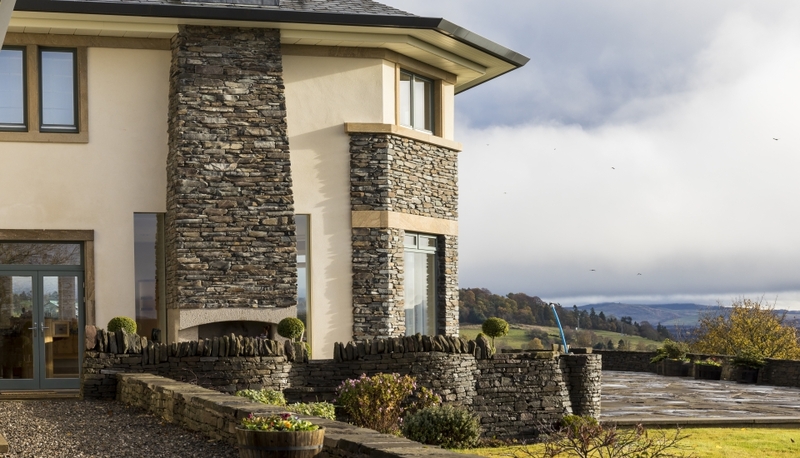 Highlands home with bespoke details. 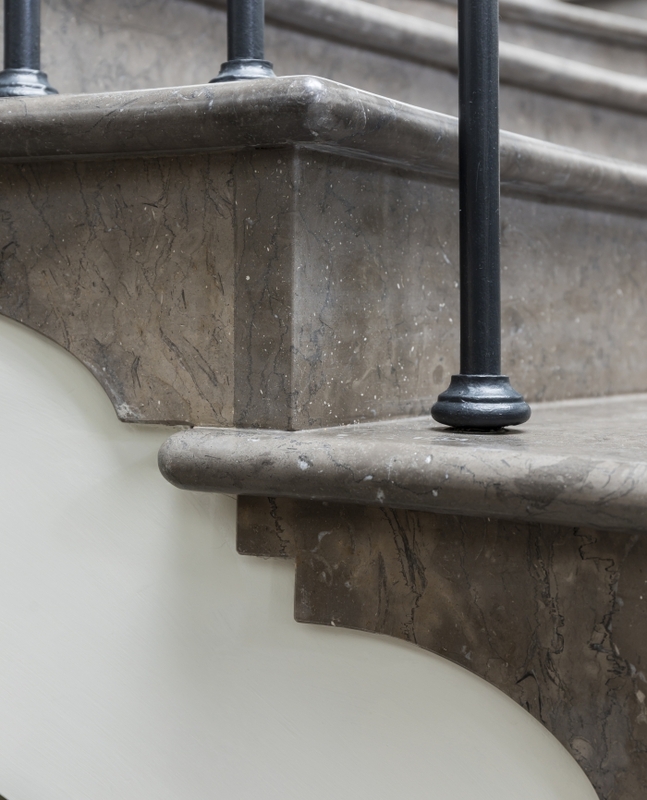 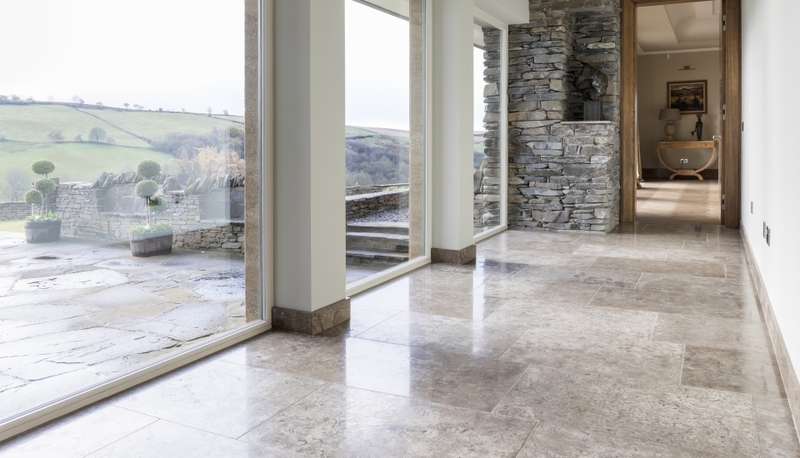 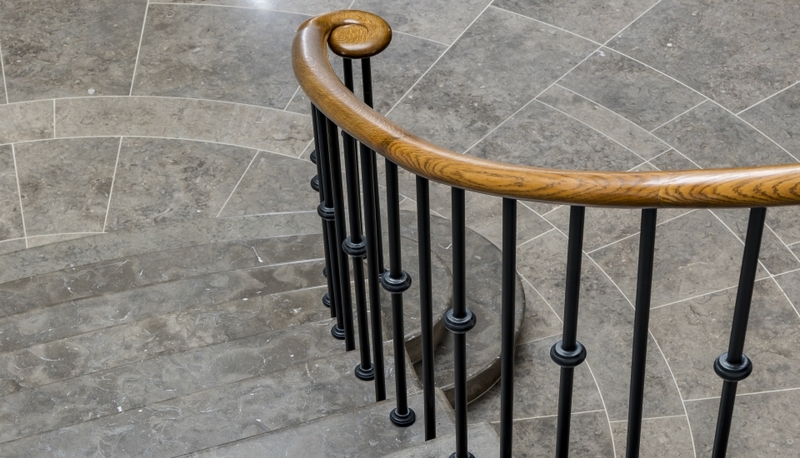 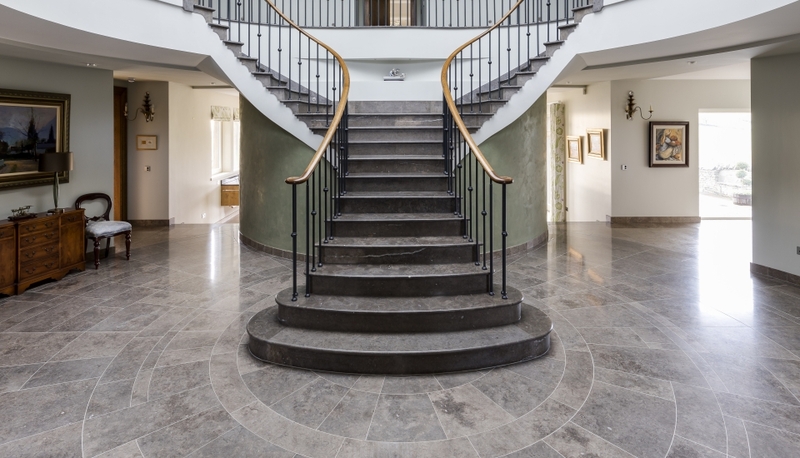 We were asked to match the solid, rugged character of the local Highlands landscape for this entrance hall leading to a sweeping staircase, and our charcoal grey Royal Mink limestone fitted the bill beautifully. 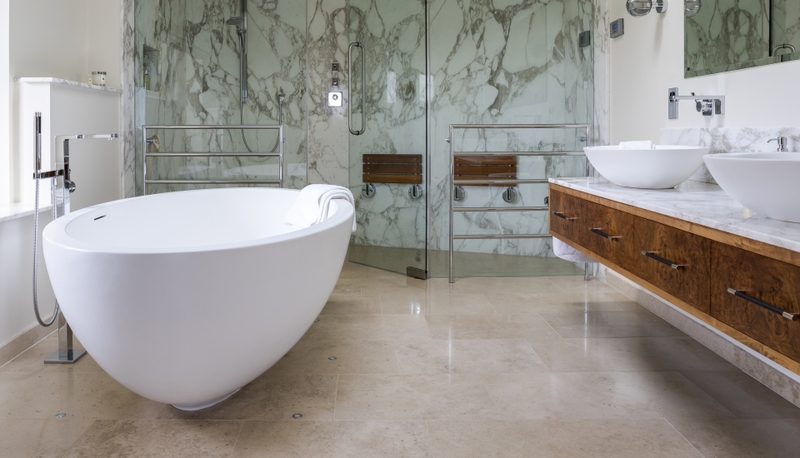 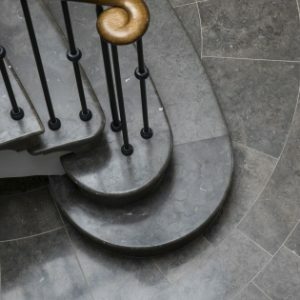 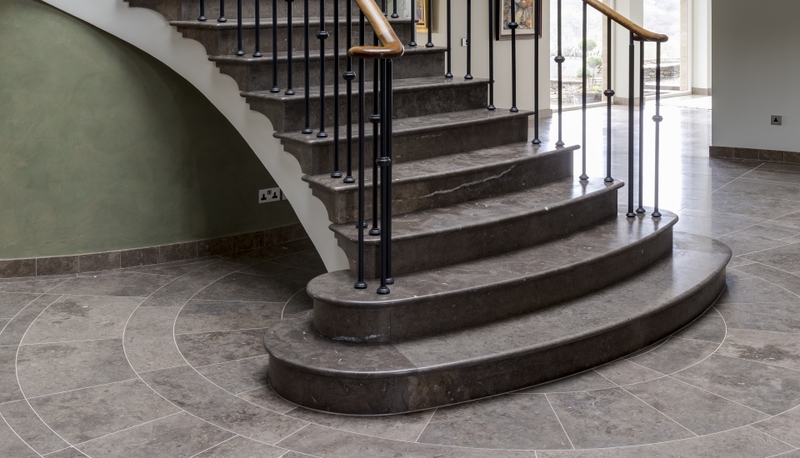 This was completed with a range of bespoke features such as the atrium landing edge, the concentric floor tiles leading out from the bottom tread of the stairs. 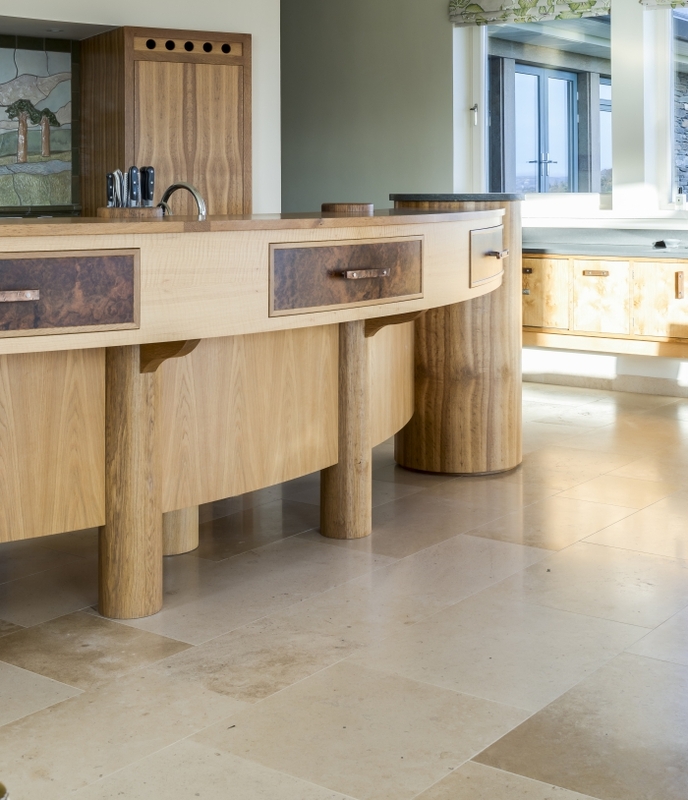 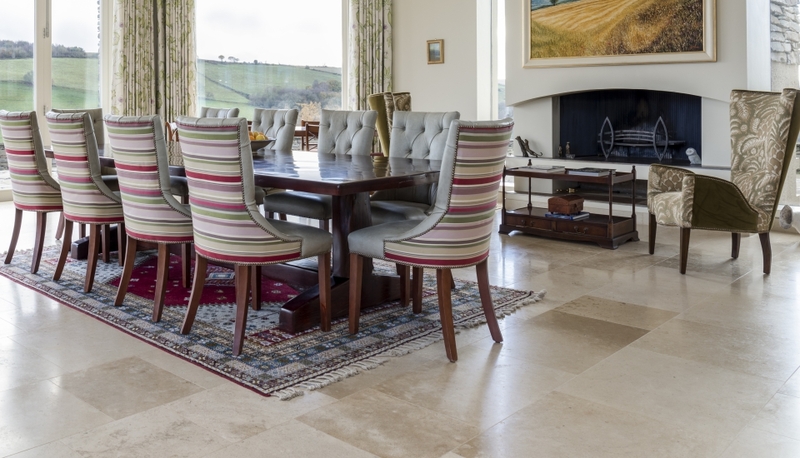 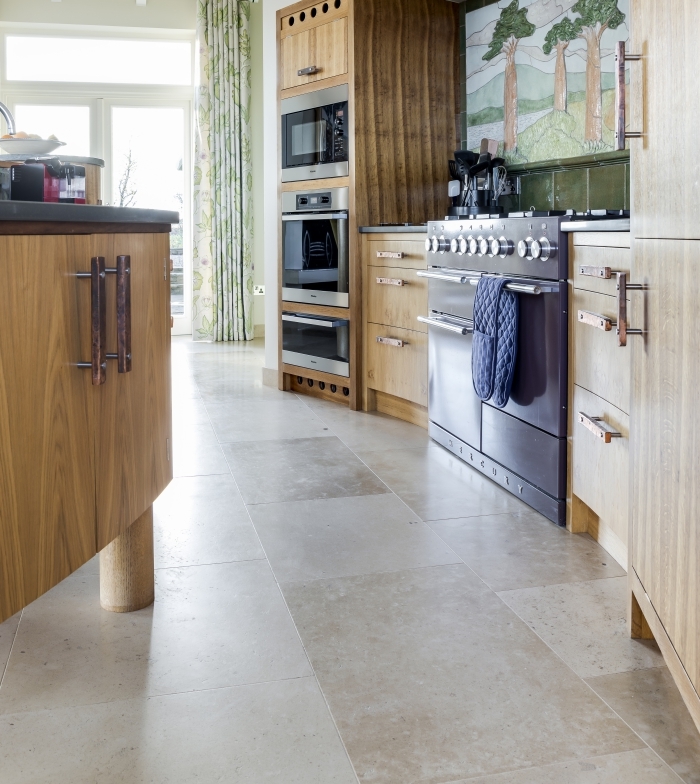 For the kitchen we supplied a traditional sandy-coloured limestone – Roche Marron – to complement the more exotic timbers of the fitted furniture.